Lepchas are the dominant ethnic group of Sikkim. The immigrants from the neighboring places mixed with them and made a unique ethnic composition by the Bhutias from Tibet, followed by the Nepalese and ultimately the Indian from the lowland. Sikkimeses are simple, hill tribal people having their own identity, living in peace and harmony. So, it is the land having homogenous blend of diverse cultures, rituals, customs, and religion. There is respect and religious tolerance between the religions but the first noticeable thingin Sikkim is majority of people are following Buddhism. So, the monasteries standing in the state are the evidence of their great devotion towards Buddhism. 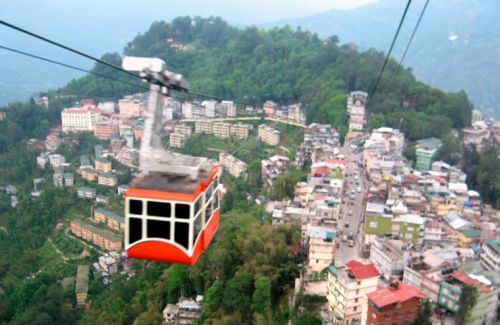 Sikkim Cultural Tour has been designed including Darjeeling, Pelling, Yuksom, Rabangla, Gangtok, Lachen, Lachung, Yumthang, and Kalimpong. 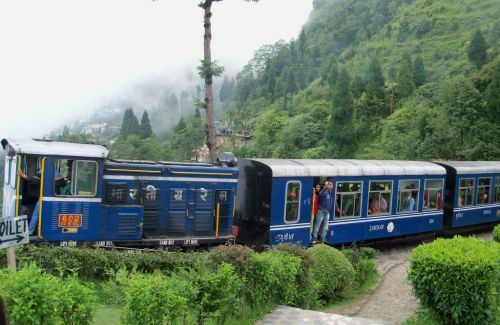 After 3 hours drive from Bagdogra/ New Jalpaiguri Rail Station, you reach to Darjeeling. You first visit Tiger Hill the next morning. It is 12 km far from Darjeeling. You will visit Yiga Choling Monastery at Ghoom which houses 15 feet tall statue of Maitrya Buddha on the way back to Darjeeling. It is 6 km from the town. The monastery was built in 1875 by Lama Sherab Gyamtso. Padmaja Zoological Park has protected endangered species like Red Pandas, Siberian Tigers, Yaks, Snow Leopards and Himalayan Bears. The Himalayan Mountaineering Institute, situated on Jawahar Parvat has great collection of mountaineering equipment and findings. The Tibetan Self-Help Centre started on October 2, 1959 produce rugs and other handicrafts. 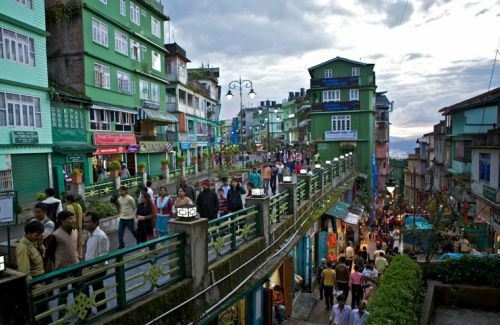 Chowrasta is a wide promenade atop a ridge lined up with shops and restaurants where people enjoy talking. It is the central place of the Mall Road. It takes 5 hours driving from Darjeeling to Pelling, situated at an altitude of 2,150 m. It is the best place, a narrow ridge from where the stupendous view of Mt. Khangchendzonga can be seen. Pemayangtse Monastery is 120 km from Gangtok, built in 18th century of Nyingmapa sect, well crafted by the late Dungzim Rimpoche. It has exotic, antique vegetable paintings. Yuksom is 2 and half hour’s drive from Pelling. It is 40 km from Pemayangtse Monastery, situated 1,780 m high from the sea level. This is an important historical landmark set amidst hills and lakes where the first king Phuntsok Namgyal of Sikkim was consecrated by the three Lamas. Khechepalri Lake is 27 km far way from Pelling. The beautiful lake surrounded by prayers flag and forested hill, has an amazing serene atmosphere. 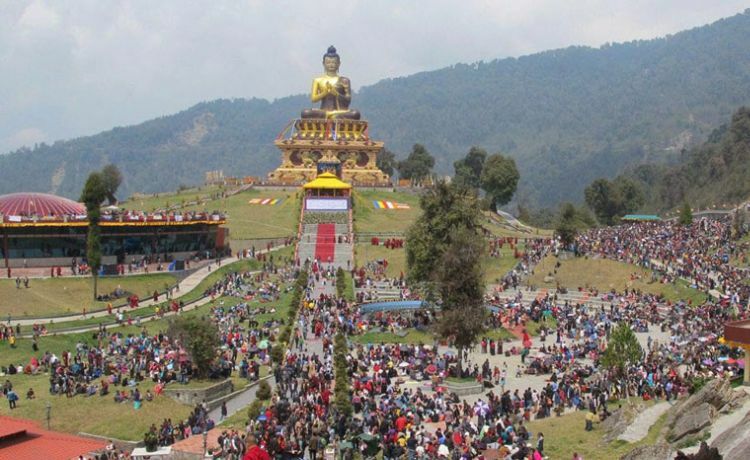 This place is highly revered by the Sikkimese Buddhists. After 3 and half hour’s drive, you reach to Rabangla where Tashiding Monastery on the way is situated on a heart shaped hill. The monastery was founded in 1641 by Ngadak Sempa Chempo. The Bumchu festival that falls on February or early March celebrated here. Rabangla is a small town with Tibetan settlements. There is a peaceful Old Ralang Monastery built in 1768. Rabangla is the best view point for the western Sikkim and mountains. It takes 3 hours from Ralang Gompa to Gangtok, Sightseeing to famous Rumtek Monastery, Institute of Tibetology, Dodrul Chorten, Tsuklakhang (Royal Chapel), Cottage Industries, Flower Exhibition are bewitching. 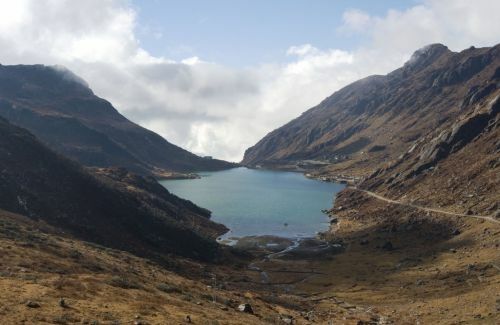 Rumtek is 24 km far from Gangtok, lies at an altitude of 1,500 m. This is 6 and half hours drive. You can visit Kabi Lontsok, Phensang Monastery, Phodong and Labrang Monastery en route. Lachung is a little town about 3,000 m high; it is 125 km north of Gangtok. The word Lachung means Small Mountain. Lachung was a trading post between Sikkim and Tibet.It is 3 hours drive from Lachung to Kalimpong, set in the foothills of the majestic Himalayas. It is situated at an altitude of 1,250 m. Sangdokphalri Monastery was built in mid- 70s at Durpin Danda Hill and was consecrated by the Dalai Lama. The wall paintings and the Mandala in three dimensional forms in the monastery are amazing.